It’s Summer Reading Program time! If you or any kids you know need some new reading recommendations for summer, O’Fallon Public Library has some just for you! These Middle Grade adventure stories are sure to capture your interest–perhaps with just the book covers alone–I mean check out the artwork on them. These stories are perfect for being read aloud–or for kids (or even adults) reading solo. Check out these books for your next favorite adventure story! As a toddler, Bicycle is left on the doorsteps of the Mostly Silent Monastery. There, the Nearly Silent Nuns raise her. Although she is happy at the monastery being educated alone by the Nearly Silent Nuns, she has no friends her own age. One day, Sister Wanda and Bicycle see an old orange bike for sale for less than a dollar so Sister Wanda buys it so Bicycle can make friends, but she quickly becomes too fast for anyone to keep up with her. Sister Wanda then decides to send Bicycle to a Summer Camp that specializes in friendships, but Bicycle refuses, instead, taking off on a Coast-to-Coast bike ride from Washington D.C. to California to meet famous Polish cyclist, Zbig Sienkiewicz. Along her journey, Bicycle encounters many adventures–and misadventures, meeting new and interesting people and animals, and learning what it means to be and to have a friend. This tale is a great summer read for ages 8-14 (and even a great light read for adults). 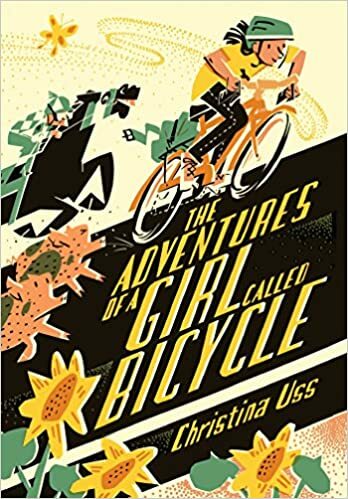 Full of comedy and alliteration, The Adventures of a Girl Called Bicycle is a must-read adventure book this summer. After Finley Hart’s parents start having problems with each other, they send her to her grandparents’ house for the summer, but she’s never actually met them before. Finley’s only escape from her sad days is her invented kingdom of Everwood that she writes about in her notebook. One day, however, after exploring the woods behind her grandparents’ house, she discovers that Everwood is real and exists in the seemingly endless forest before her, full of magic and mystery. As Finley and her cousins start uncovering Everwood’s secrets, they realize Everwood is in trouble, but as she works to save Everwoods, the sadness she felt at the beginning of the summer is still growing. Before she can finish helping Everwood, she’ll have to seek help for herself. 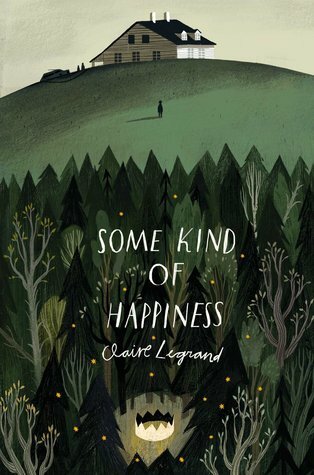 Some Kind of Happiness is a book that perfectly combines reality and fantasy while tackling real problems like anxiety and depression in a helpful and organic way. This story is a great read for anyone who’s ever felt anxious or sad or had a lot of new changes come their way far too fast. Hello, Universe by Erin Entrada Kelly. Four young lives come together on one day when it seems the stars align. 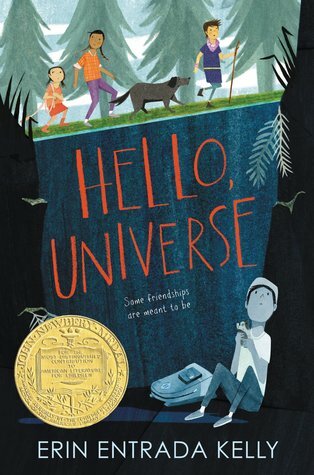 Hello, Universe, an adventurous story about told from 4 perspectives, shy and kind Virgil with his pet guinea pig, clever, but brave, yet deaf Valencia, and fortune-teller Kaori, and the biggest neighborhood bully, Chet. When Chet tosses Virgil’s backpack down a well with the guinea pig inside. After Virgil goes to rescue his pet, he is trapped. That’s when these new friends band together for a rescue mission. Along the way, they discover that there isn’t just one way to be brave. It’s adventurous, heartfelt, and even a little mysterious. This is a great book for kids and adults, perhaps one to even read together! I hope you enjoy this selection. If you’d like more great recommendations, check out our reading suggestions page!